Parts 3 and 4, look at my own shortcomings that, on the one hand, served me well on the street, but on the other, did not please supervisors. In later stories, you will better understand why my career was better suited to the front line investigator role rather than a back-office administrator. More than a few police officers work their entire career and never learn some basic skills that would have made their lives so much easier. I was one of those officers, but my challenges were oriented more toward the political than the practical. For that reason, I was destined to spend my career on the street rather than as a Senior Administrator. Years of street experience taught me that using different approaches could work wonders in reaching a positive outcome, something that was known and practiced by a great many police officers I met over my career. Use of language, including body language, humour, anger, surprise, sarcasm, deference, curiosity, excitement, awe, confusion, sympathy, empathy, etc., that, when introduced at the right moment, could help to defuse a situation or reach a positive outcome with suspects, witnesses, youngsters, seniors and any number of others. Skilled interrogators become acutely aware of the importance of using a number of different approaches. If one particular approach did not work, another might. It was my observation that some officers worried a far too much about protecting their image than reaching a positive outcome. Appearing vulnerable or having to admit a mistake was an outcome that some could never accept and, in such cases, often became even more aggressive. Early in my career, when I was not yet totally comfortable in my uniform or skin, I made these same mistakes. After overcoming a few of these shortcomings, I learned to adopt different approaches and found that helped to break down barriers that provided a better chance of reaching a positive outcome. Some might say that was being manipulative and perhaps it was, but trying to discern who was guilty and who was innocent, was often filled with shades of gray. In random checks (it is now called profiling) I would often say or do something to throw the person or group off guard. ‘Off colour’ language, used in the right situation, often had the desired effect particularly with young men a group of partially intoxicated young men may break down some barriers: “Ok, what are you ‘assholes’ up to tonight – no good I suppose?” Coming out of the blue (so to speak) from a uniformed officer, could quickly break down barriers between the uniform and a police officer. If this was done with a conciliatory and cooperative tone, it often worked and a buddy of the loudmouth would pull him (or sometimes, her) away. There was no better way to incite the crowd than to be drawn into a confrontation with the loudmouth (although sometimes there was no alternative). In the latter, you could bet many would side with the loudmouth. Self-deprecation was also worked well, as it seemed people loved to see a police officer stumble or do something stupid. Remember the fumbling, bumbling TV Detective, Columbo? Probably to many years back for most. Well, he often made himself look confused or lost in order to throw another person off guard. I could play that role rather convincingly. As few fellow officers suggested it came naturally. A confused look would appear on the drivers face as he took the licence back and after examining it, would turn it right side up and hand it back. 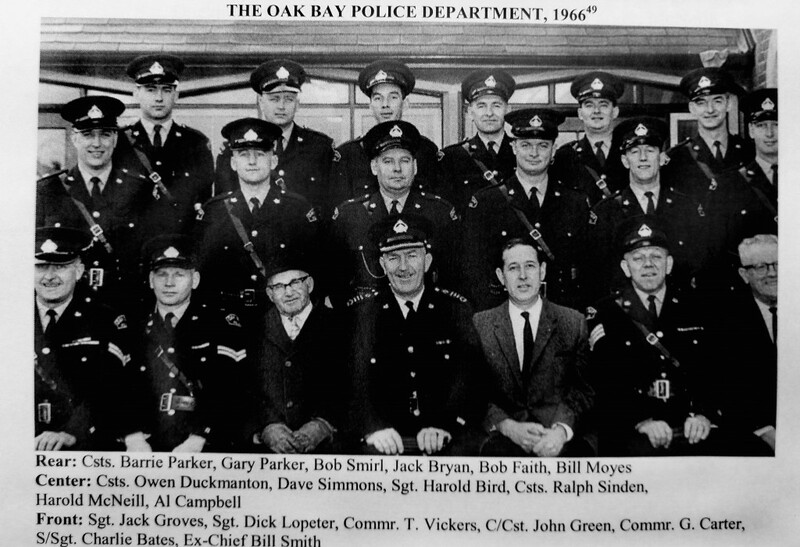 He and the group probably wondered what kind of dork cop they were dealing with (only in Oak Bay you say?). I would then smile and laugh at the little joke and everyone in the car would be put at ease. Most often, the check could then be conducted in a cordial manner and if nothing found (no liquor, etc), they were on their way. If there were underage people and liquor present, I could often complete the seizure without any hassle what-so-ever by making a statement along the lines: “Damn, your dad must have forgotten his liquor in the car. Well, I will take it to the station. Just tell him he can make an application pick it up.” By initially throwing people off balance by your actions, making them think you were a klutz, could be very helpful, and often ended with a cheerful ‘good-bye’ rather than someone making an ‘oink, oink’ noise as they departed. In most cases, I learned a heavy handed, authoritarian approach with people, particularly young people, was the least productive way to begin an encounter. Officers using that approach usually ended up provoking a greater confrontation than was necessary, yet there were officers who thrived on confrontation and were very good at taking an otherwise benign situation and turning it into a riot. Believe it or not we had a few of those officers in Oak Bay. Above are just a few of the many techniques I developed to ease into and out of situations where I did not want confrontation and, really, who needed a confrontation? Officer’s who employed a more sensitive approach would eventually receive the same pension as those who were more prone to using a heavy handed approach. This brings me to a study conducted by Constable Terry Toone1, a Victoria Police Officer and myself during our College and University years. Terry and I first met when we were classmates at the Vancouver Police Academy in 1965 and had maintained occasional contact after we returned to our respective departments. Then, in the early 1970s we again became classmates while completing oud undergradute degrees at Camosun College and the University of Victoria. As we often had to complete research papers of one sort or another, we decided on one joint-study concerning ‘Police Citizen Interaction” as this fit with a Psychology course we were taking. Specifically, the study was designed to evaluate the effect the attitude displayed by a police officer (the power authority) had upon a citizen response. To Terry and me, it seemed the ‘power authority’ (police) would likely set the tone for an interaction as, during our eight years working the street, we had both observed a few officers draw a lot more ‘heat’ in their checks than most others. The same officers were also subject of more citizen complaints than officers who had cultivated a greater understanding of the effect of their uniform and/or position in an interaction. Many studies we reviewed suggested that complaints about police behaviour, rather than being about a physical assault, improper detention or some similar transgression,, were more often complaints about attitude, language and demeanor. For the study, we prepared check lists outlining various attitudes that could be displayed by the officer (e.g. anger, aggression, superiority, passivity, aloofness, humour, self-deprecation, sympathy, etc.) and an equivalent number and type of reactions that could be elicited from a citizen. While the study was largely subjective as (we also evaluated our own interactions), it tended to confirm that, for better or worse, police officers most often set the tone of an interaction. While the citizen response were not always dictated the officer’s attitude (e.g. humour was sometimes met with aggression), there was a sufficiently high correlation to suggest officers were, to a large extent, masters of their own fate. In another example, in our police academy traffic studies with Corporal Lindsay, we were taught to make up our mind about what we intended to do before approaching a violator and to use the same professional approach each time. This, it was said, helped an officer avoid letting the drivers behaviour affect the ticketing outcome. Experience, however, taught me this severely limited my ability to conduct the stop and still keep the violator ‘on side’. Most often, it was my desire (perhaps naïve) to see if there might be a chance of actually bringing about a change in driver’s behaviour2. Photo: Traffic stops could be fraught with danger as in the present example where the young woman attempts to explain her side of the story. For another, humourous look at the subject of “How to make a traffic stop” and how difficult it was to remain calm link to video. In making a stop, I often used an ‘informal’ approach and carried on the discussion in an open and friendly, but professional manner. Although tickets were usually written (if that was my intention) and few violators were ever pleased with getting the ticket (and I certainly wrote my fair share), I would often get a ‘thank you officer’. 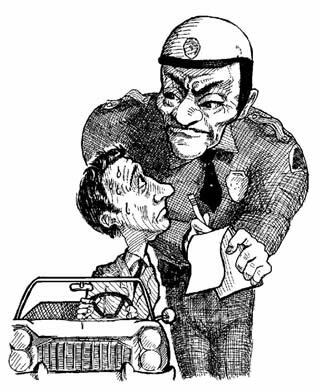 That ‘thank-you’, of course, was not for the ticket – no one was happy getting a ticket – it was for the friendly approach, discussion and an understanding that getting a ticket was never a pleasant experience. For some officers there was no time for such niceties as the focus was volume. Perhaps because I worked in a Department that allowed a bit of time for such luxuries, I often tested various theories of human interaction studied during my undergraduate years and sought to adjust my behaviour in field encounters accordingly. This was not always met with the support of partners, some of whom preferred a more ‘gung-ho’ approach to policing. The next short story of two Saanich police officers, one who knew the importance of attitude and the other, who, apparently, did not, is a perfect example. (1) I considered Terry to be one of those exceptional police officers who well understood both the street and the front office. We spend considerable time together and graduated in our early-thirties with degrees from the University of Victoria. Terry’s father was a long-term Mayor of the City of Victoria and Terry would later go on to become Chief of the Victoria Police. (2) During one of my undergrad courses at University, I became intrigued with studies done in one of the southern states about the short and long-term effects of targeted traffic enforcement using radar. The studies made it clear the effect was of a much shorter duration than most police officers and departments believed. I set up a few similar tests (one on Cadboro Bay Road by Uplands Golf and another on Henderson Road through the Uplands School Zone. Using a hidden radar I established a base speeds at various times of day. In various ways I introduced both marked and unmarked units with radar. The results mirrored the US studies showing the effects in reducing average traffic speed was very short lived (only a few blocks in the city). For example, after passing a radar unit, say on a highway, drivers would reduce speed for a few miles (or blocks in the city) and then resume their normal ‘pre-radar’ speed. The only enforcement that was effective was a certainty that if you were to speed at any time you would get a ticket. I really enjoyed this post, Harold. 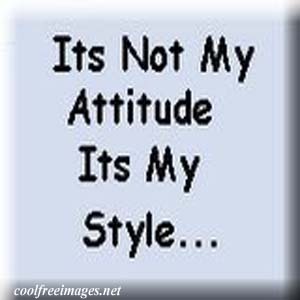 I think you’re right about the importance of attitude/presentation. Reading this, though, I was thinking about the changes in officer appearance over the years. This could refer to many changes (gender, ethnicity, moustache/no moustache, etc. ), but I’m thinking about the “robo” look of many police these days. This might be influenced by a particle culture in Edmonton, of course, but my impression is that male police officers here are more and more physically intimidating. Many work hard at this, as you suggest in your post. It seems that this is partly because of their protective gear, but they are also, I’d say, just bigger and/or stronger than in the past. Thanks for posting your thoughts Lorin. It is funny you should mention “the look” as it is something that has crossed my mind. I was astounded at how intimidating the police looked while Sean and I were walking around after game six Vancouver. The same at other times I have noticed them on the street. Black uniforms and heavy gear has made it seem these officers were just waiting for the next riot. In a word, they seemed unapproachable. You have inspired me to write a fifth section to this series, something along the lines of “The Unapproachables” I wonder whatever inspired the police to go to those black uniforms?